Whether it’s an everyday breakfast staple or you just can’t resist a slice of good old toast on a weekday evening, toast is an essential food in many of our homes. But it can be hard to achieve the perfect slice every time without the perfect toaster, well look no further. Combining a stylish modern design with features that go beyond a mere push-and-pop toasting, the Strata Luminere 2 Slice Toaster is the kind of toaster that can always deliver the perfect slice. This toaster has a handy lift and look feature allowing you to check the colour of your toast without interrupting the toasting cycle. 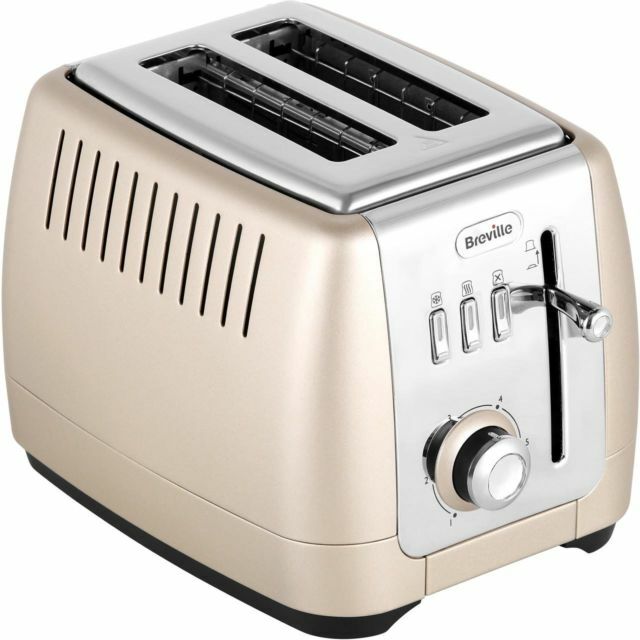 With variable browning control, you can also set the exact colour you want your toast to be. Extra high lift to stop you burning your fingers as you retrieve your toast and variable width slices for different kinds of bread.